In this article, I will give you 3 simple methods for letting YouTube turn off autoplay feature. Now, follow the below specific instructions to learn how to turn off YouTube autoplay. 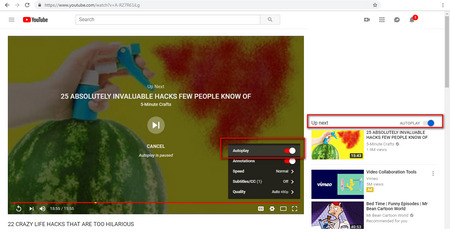 Whether you play YouTube video or YouTube playlist, YouTube autoplay feature enables to automatically play the next video after the video ends. However, different from YouTube playlist autoplay, you will see a 10 seconds countdown circle and a hint of continuing to play the next video at the end of the playing video. The contents and genre of the next video depends on your viewing history. Then here comes the question, you may be bothered and unsatisfied with the recommended video which you are not interested in. Then what should we do? Follow this article to learn 3 workable solutions to shut down the YouTube autoplay. Free HD Video Converter Factory not only supports to download YouTube videos with simple clicks, but also enables to download video from Facebook, Dailymotion, Vimeo and many other video hosting sites as well. You are also able to convert the downloaded video to hot formats and devices. You will see a countdown circle appeared on the YouTube video player by the end of a video. Next, I will tell you 3 simple tricks to turn off autoplay YouTube video. 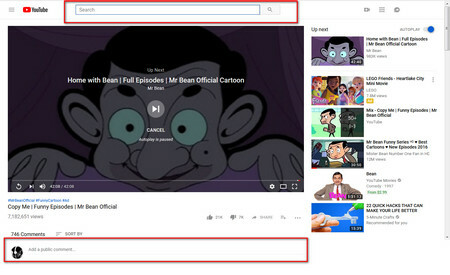 (1) Entering words in the search box on the top of the YouTube webpage. (2) Scroll down past the video player on the current page. (3) Scroll down the slider to “Comment” section and click comment box to make YouTube turn off autoplay. Such simple tricks can only make the video have a temporary pause. You can see that there will show “Autoplay is Paused” under the countdown circle. Once you have come back to the video player, the countdown circle will start working again. 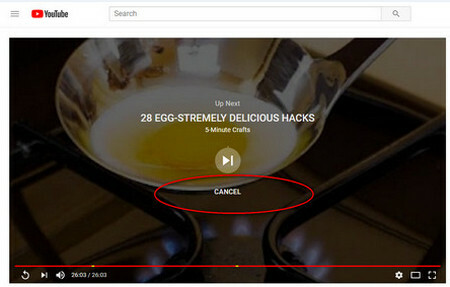 When the countdown circle appears, you can see that there has a “Cancel” option under the countdown circle, clicking it to disable YouTube autoplay. However, we should know that this method can’t turn off YouTube video autoplay permanently. If you have played another video or refreshed the webpage, the YouTube video autoplay will keep on going by the end of the video. 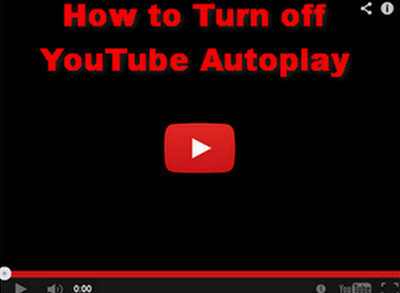 Here will give you an easy method to permanently make YouTube turn off autoplay within several simple clicks. (1) Click the “Gear” icon on the lower-right corner of the video, switch off the “Autoplay” option. (2) Or you can directly turn off “Autoplay” on the right side of the video player. By doing the above 2 operations, you are able to permanently stop YouTube autoplay next video. One day, if you want to turn on YouTube autoplay, you can make the “Autoplay” switch on too. In addition, please note that if you are connected with mobile data and have been inactive for 30 minutes, the video autoplay will stop automatically. But if you are connected with WIFI, autoplay feature will stop after 4 hours. With the above 3 easy to operate methods of how to turn off YouTube autoplay, you are able to make YouTube turn off autoplay without any hassle. Or if you want to find another method to permanently stop YouTube video autoplay or fix YouTube autoplay not working issue, you can use Free HD Video Converter Factory to free download the YouTube video for offline playback. HD Video Converter Factory Pro supports to download 1080P, 4K video from YouTube, Facebook and many other video hosting sites. 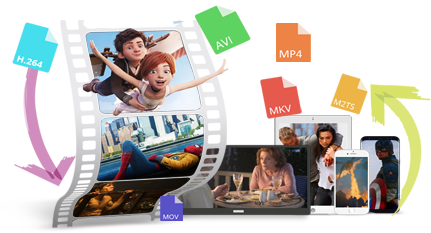 With it, you can quickly convert your video and audio files to various formats in batches.